The Dallas Cowboy Golf Club was beautiful. The greens were immaculate and the waterfall was divine. I asked the cousins if they wanted to go with me outside and take a few pictures....and wow! They ran outside quicker than I could finish my invite. It was a blast! and pictures of the whole group. I was so thankful that I brought my camera! Then the little natives started getting a bit restless....they were so good in the wedding that they now had loads of energy to burn. So, since no one was playing golf, they had fun running around the practise putting green. Some of these images crack me up! The hard part wasn't keeping everyone from falling in the water, it was gathering them all up to go inside...they loved it outside! 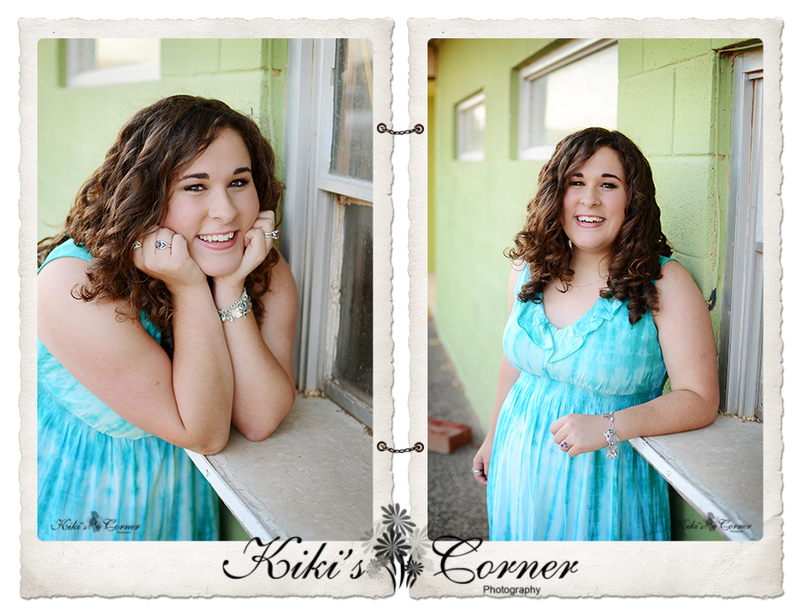 I'm so thankful for this impromptu photo shoot....so fun! After the rehearsal, dinner, and meet and greet at the Mother-of-the Bride's home, we all fell into bed as soon as we got to our hotel room. 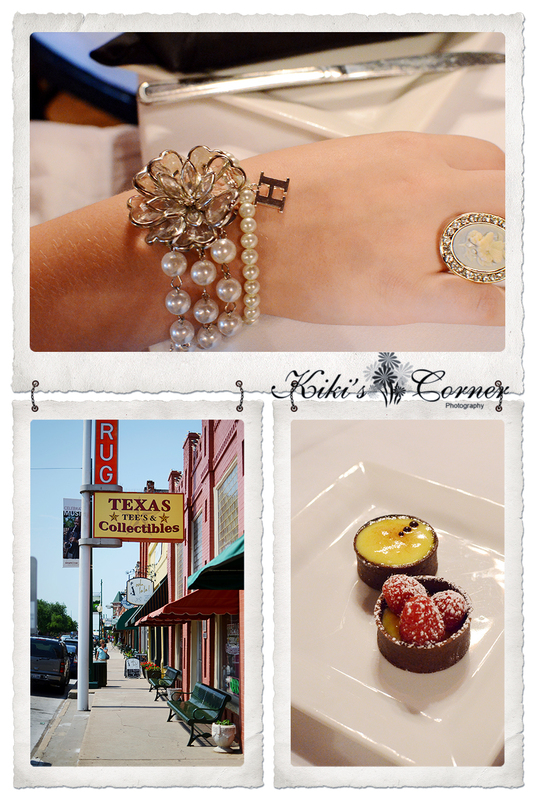 We had an early wake up call so the girls and I would not be late to the Bridal Brunch in historic downtown Grapevine. 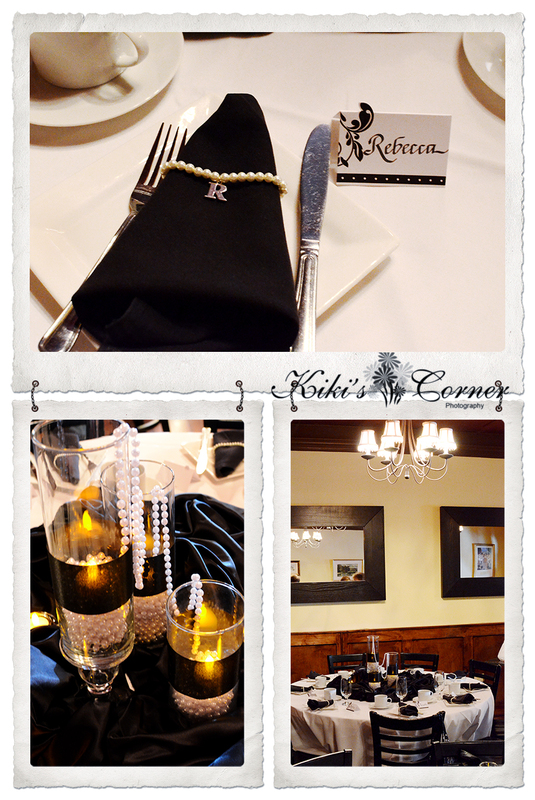 My mother-in-law and sister-in-law put together a fabulous Bridal brunch complete with a beautiful centerpiece, hand made pearl bracelets with every one's monogrammed initial, and fabulous catered cuisine. After the delicious brunch, the girls and I did a little shopping. Oh, was it HOT and humid. Still, we persevered. Ha! And found a few things. We headed back to the hotel with Arnold Palmer iced tea and retreated to a little air conditioned relaxation before it was time to shower and get ready for the much anticipated wedding. No, I was not the wedding photographer (I still have thoughts running through my head about this. A few people have asked, but I don't think I'm ready to take that plunge just yet...some days maybe, but I just don't know) but I still brought my BGC (big girl camera) along for the fun. And the dance. 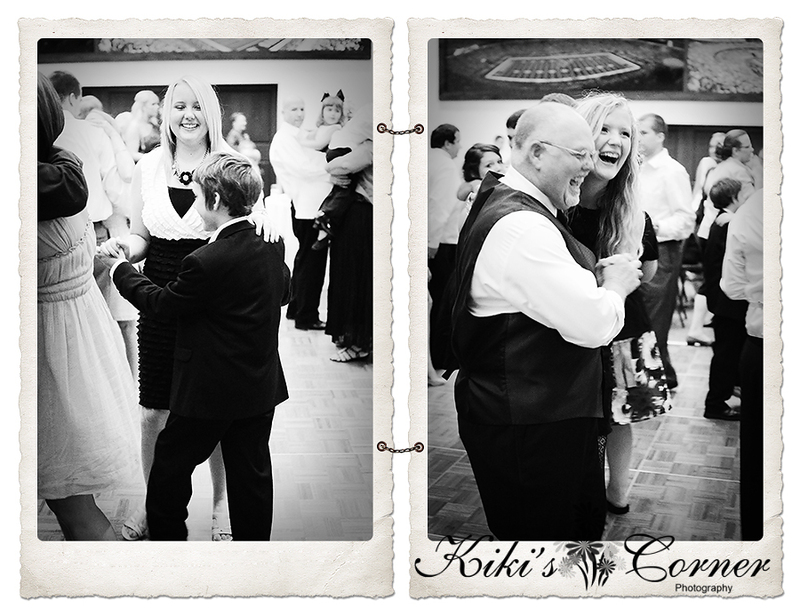 These two are some of my most favorite images from the night. Chandler asked Rachel to dance and she sweetly agreed. A few minutes later she told him that he was a great dancer. Chandler quickly replied, "Don't act so surprised!" Ha!!! And then Hannah dancing with Poppie....they both are giggling because they both were trying to lead. Ha!!!!! I am putting this in my memory bank....you know for 20 years down the road (right Rachel???). 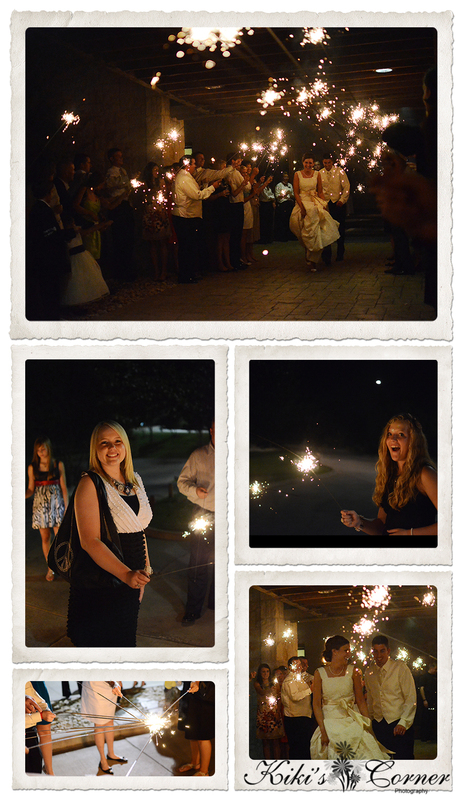 We were all given Texas-sized sparklers....oh so fabulous! And they played the Texas Tech fight song as the bride and groom made their exit (I would rather have liked the Baylor Bears fight song, but TT is where the bride went to school...her groom is an Aggie). 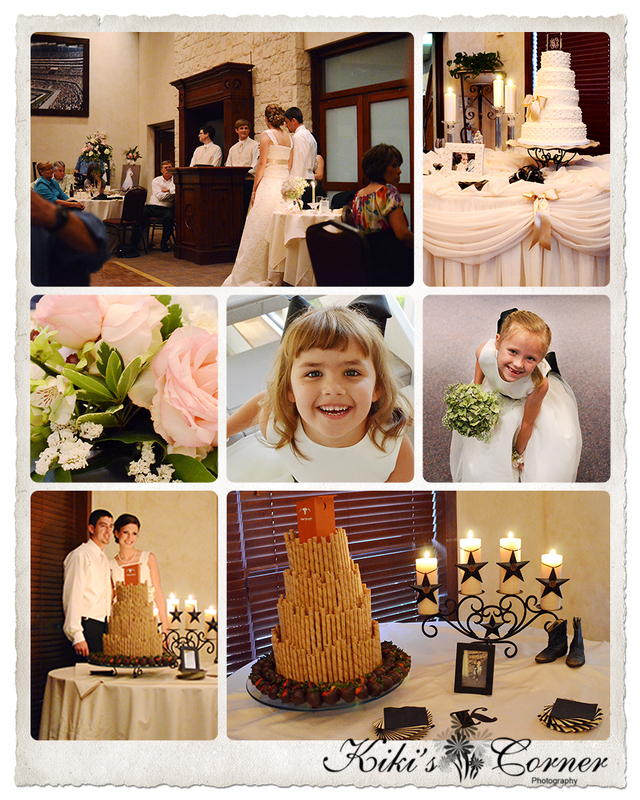 It was a perfect Texas wedding, until the left-over wedding cake fiasco, but that's another story. After the amazing visit with Rachel's neurosurgeon and a quick bite to eat, we quickly drove back to Grapevine, changed our clothes, and then headed out the door to the church for the wedding rehearsal. Mr. 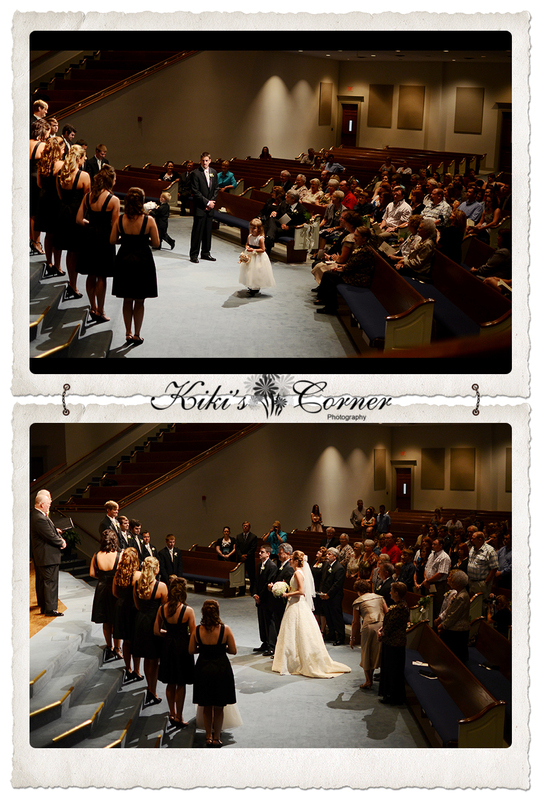 Incredible and I were blessed to sing at Becca and Matt's wedding. 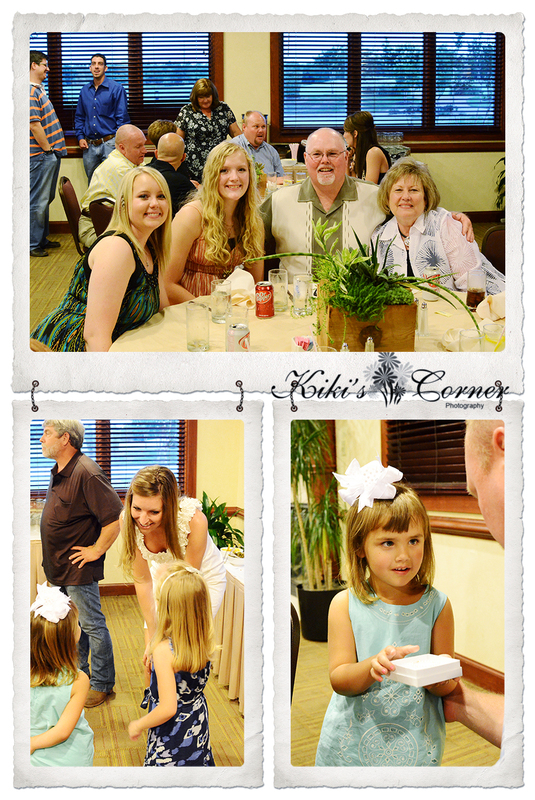 Becca, you may remember from a previous post, was our flower girl in our wedding nearly 21 years ago. The groom's parents hosted a wonderful dinner. We dined on delicious fajitas with all of the trimmings. The tables were decorated with the most gorgeous plant arrangements in the neatest boxes. I was so busy visiting, that I missed taking a picture. I learned later that Matt's parents own a Nursery and they had grown all of the the plants, and his dad had crafted each box. Before leaving the dinner to once again change clothes and spend some time with the bride and her family at her mom's beautiful home, we stopped by the trophy cabinet. 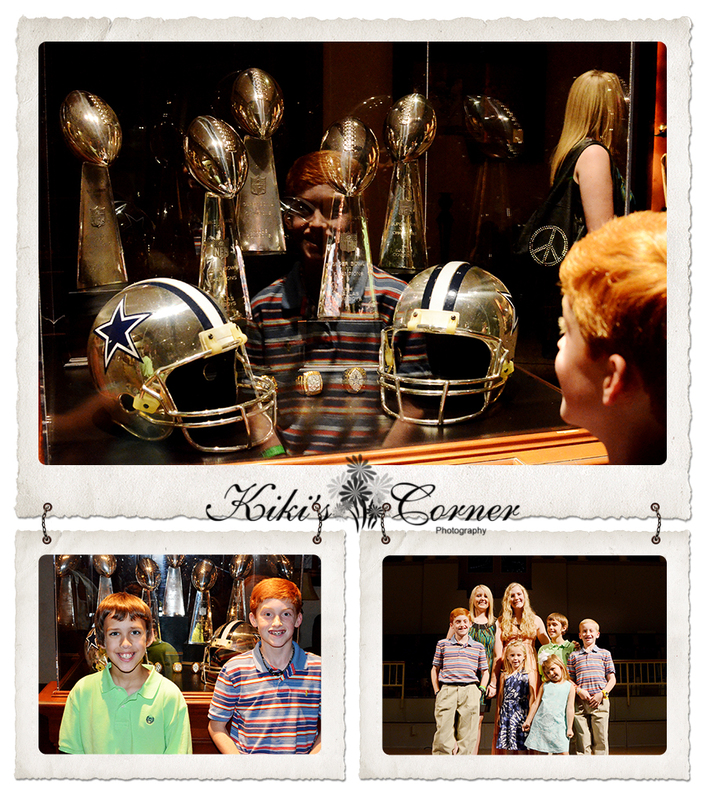 My oldest nephew's eyes got really large as he looked at all of the Dallas Cowboy trophies and rings in this cabinet. I loved this picture with his reflection in the box. He and his cousin just had to have several pictures taken in front of the cabinet. 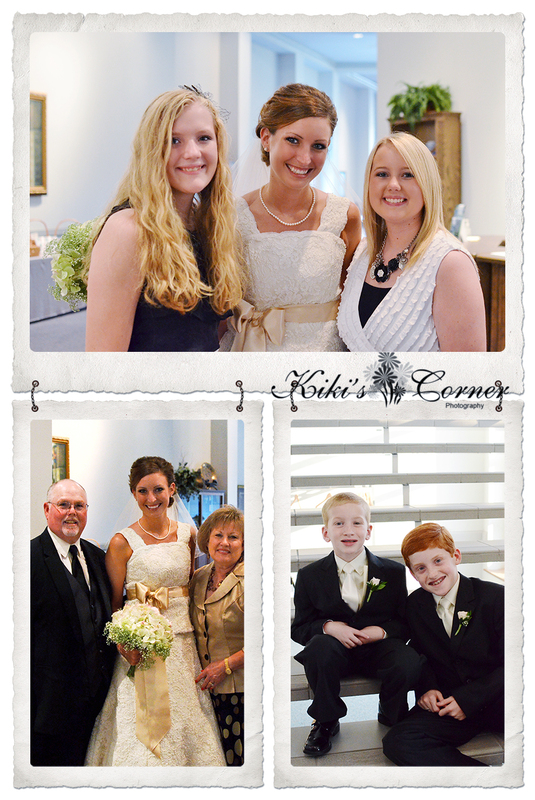 We enjoyed touring the Mother-of-the-Bride's new home and seeing all of her talented decorative touches. She had the coolest wallpaper in her bathroom that I can't quit thinking about. Did I take a picture? No, sorry! But it was the coolest wallpaper...and I'm not much of a wallpaper girl, but this was cool. It had an aged look to it. She told me that all you had to do was tear it and put it on the wall. I wish you could see it to, but trust me it was cool and made me want to do a little wallpapering, which is saying a lot! 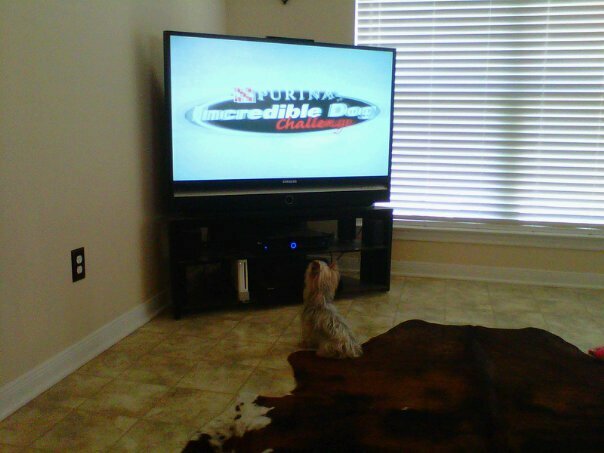 She is so cute, it makes me want to have another Yorkie. I better run for now. The temps here are going to be well over 100 degrees again today. I better grab the newspaper off my front driveway before it melts into the concrete. Ya'll have a blessed day! 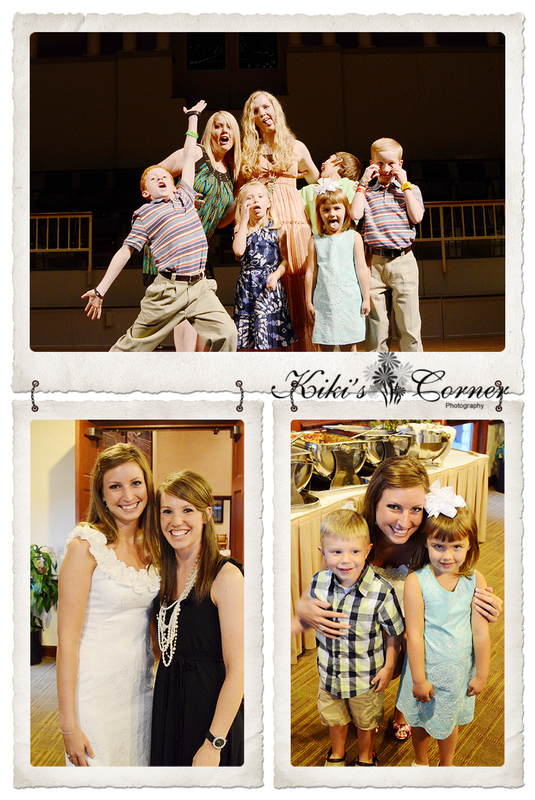 Rejoicing in God's Amazing Grace! I am so behind in my blogging. Life has been happening at warped speed. So many things in our first three weeks of summer break...left me a bit exhausted. 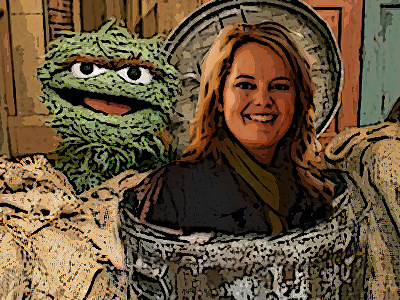 I am happy to say, that I am feeling more like me again, although Oscar the Grouch (see previous post) is still trying to rear her ugly head occasionally. I thought I would get caught up documenting all that we have done these past three weeks. 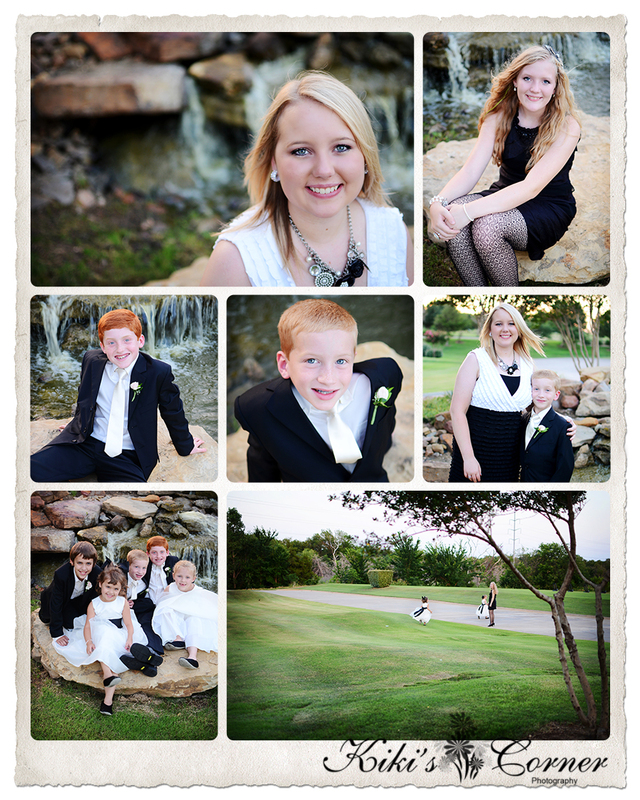 Our family headed to Grapevine, Texas for a wedding on June 11th. We left our part of Texas a few days before so that we could do a little shopping and to visit Cook Children's Hospital for the last time! Glory! After they were properly feather-fied, thank you Alayna, we hit the road. Road trip, baby! We met Mr. Incredible's family for dinner at Pappadeaux's where yummy seafood awaited, checked into the hotel, and slept for a bit. The next morning it was time to do a little shopping. Charming Charlie's anyone? Yes, please! I adore this store. 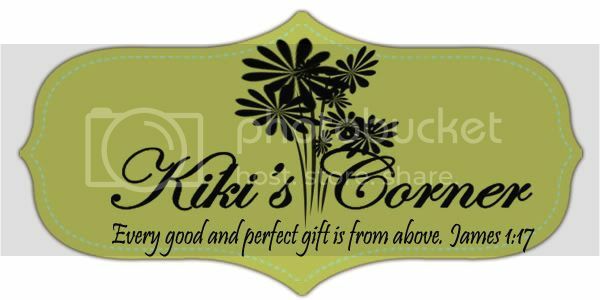 They have the best accessories...and they are not very expensive, unless you are Mr. Incredible. Ha! I wanted to snap a picture of my girls in between shopping for the perfect accessories. Apparently, I was still shopping when I took this photo because I focused my camera on the jewelry behind my girls instead of on my girls. OiY! After doing a little shopping, it was time to drive to Ft. Worth for Rachel's last appointment with her pediatric neurosurgeon. Words will never be able to describe our absolute joy and thankfulness for this wonderful doctor that the Lord blessed us with. 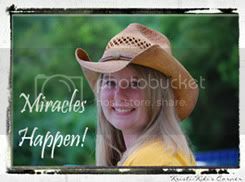 Dr. Roberts is careful to not take any credit for Rachel's miracle, we know it was the Lord, but we are thankful for his part too. God used him in a mighty way! Rachel and I cried in the parking lot, tears of joy, as our minds recalled all that has taken place in her life and all that took place at Cook Children's Hospital. As we made our way to the car, we saw families who are in the beginning stages of diagnosis and treatment, and our hearts ached for them. We wanted to tell them to keep praying and believing because God can do anything....Rachel's precious life is proof of that! After calling my parents to tell them Rachel's wonderful news, it was time to celebrate! Pei Wei's sounded like the perfect spot! After lunch, it was time to go back to the hotel, change clothes, and attend a wedding rehearsal and dinner, but I'll tell you about that tomorrow. Ya'll have a blessed day! I'm thinking going to a beautiful wedding in Grapevine, unpacking, doing laundry, packing again, leaving in less than 12 hours after being home, going to youth camp in glorius Glorieta for a week, learning at camp that my Grandmother was dying, riding the bus home from camp (9 hour drive), unpacking, doing laundry, re-packing, driving 10 hours to Kansas to attend my Grandmother's funeral, singing three songs at her funeral (yes, it was a blessing! ), and then turning around only 23 hours after arriving in Kansas to drive the LONG 12 hours home....whew...has left me exhausted emotionally and physically. My patience level isn't what it should be....I think I'll hide out like Oscar the Grouch until I can find some much needed rest...and a brand new attitude. I'm thankful that the Lord provided much needed strength and comfort during it all. I guess I'm left a bit fragile right now...not accustomed to feeling this way. Please, handle with care....or you might meet Oscar instead of me. OIY! I realize that I have been MIA around my blog lately. I've been so busy and I've barely been home. 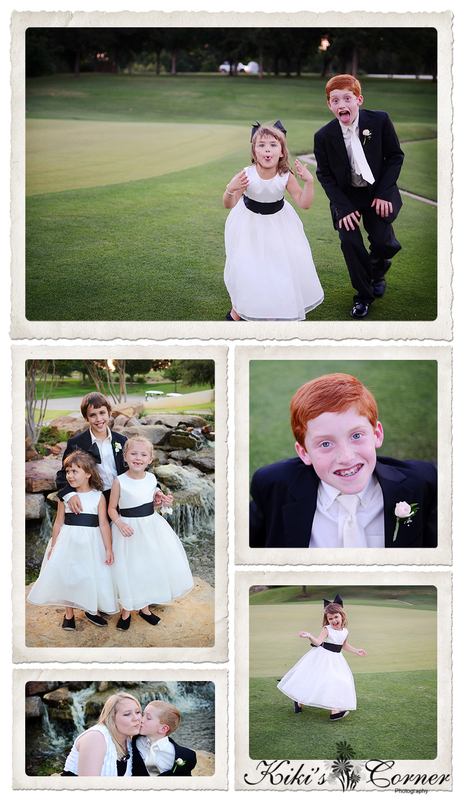 Our family attended a wedding this past weekend in Grapevine (I have so many pictures to post). The bride was the flower girl in our wedding. Yes, we are getting that old! Oiy! It was a special celebration. After the weekend wedding, the girls and I traveled home, quickly unpacked, did laundry, and in less than 12 hours later were on our way to Glorious Glorieta for Youth Camp. It was a wonderful week. We enjoyed the cool, crisp 50 degree mornings and all that God had planned for us. This morning we left Glorieta on the church bus and received word from my mother that my precious Grandmother went home to be with the Lord this morning. It was a long bus ride home, bittersweet as my mind reflected on lots of memories from childhood and even adulthood of memories with my Grandmother. I know that I am a blessed granddaughter to have had my Grandmother with me for so long...she had the blessing of getting to know her Great-Granddaughters and I will always be so thankful for that. My heart is full and happy, and sad at the same time. She was my last living grandparent and I will miss her. But, my heart is also joyful at the thought of all that she is experiencing in Heaven. She is getting to see her Saviour face to face, and reunited with my Grandpa, the love of her life, who she has not seen for the last almost 19 years. I can just imagine the smile on his face! I know my Grandmother is telling my precious Granny and Pappaw, and my dear Aunt Faye all about what we have been doing and all about the girls...there is so much to tell. What a glorious reunion is taking place today! I am thankful for the life she led, for her absolute faith and love for the Lord and her family~I have a wonderful heritage of faith and so much to be thankful for. We are home unpacking from camp, doing laundry, and getting ready to pack again. 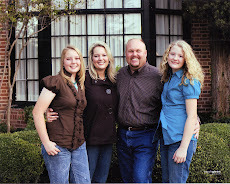 Please, remember our family as we travel back to Wichita, Kansas and as we celebrate my Grandmother's life. I am completely overwhelmed with absolute gratitude and thankfulness to the Faithful One and for the great work He has done in Rachel's life. We just left Cook Childrens Hospital where her neurosurgeon checked her progress for the last time! He marveled right along with us at the great things God has done. What a mighty God we serve! To Him always be the glory for the absolute miracle He so graciously blessed us with! I am Not Bat Man! But, if I'm Batman, where is Robin???? 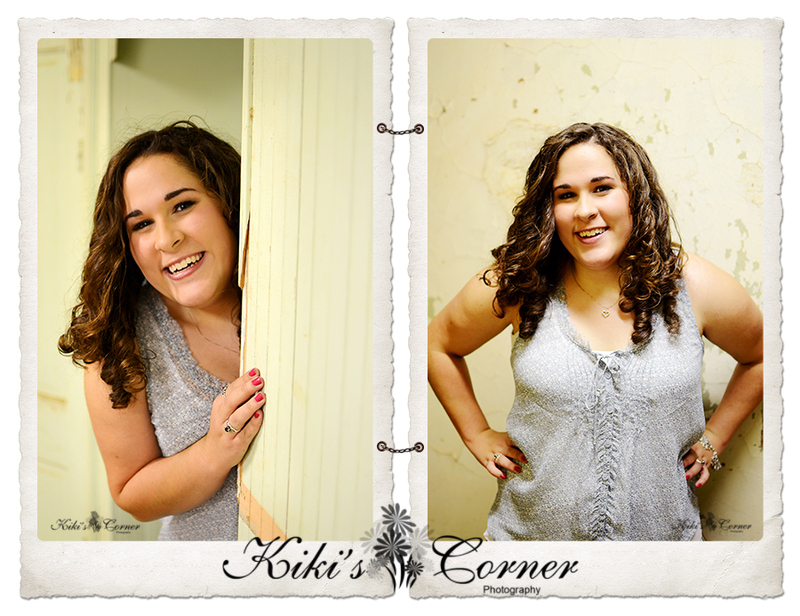 During Tuesday night's photo shoot at the Old Convent, I braved it once again to take pictures. No, I didn't let nearly falling to my death in the hole in the floor that goes down to the locked, dark basement, keep my from trying again. The Convent is so cool to take pictures in...and I will take every opportunity I'm given to be there. It is amazing....except for the "dumb-waiter" hole in the floor that I nearly missed (thank you Rachel) and a new friend waiting for us. We all went upstairs to take pictures of Sarah in the "green room." Rachel sweetly said, "Oh, there's a bird!" And then the bird swooped down at us. 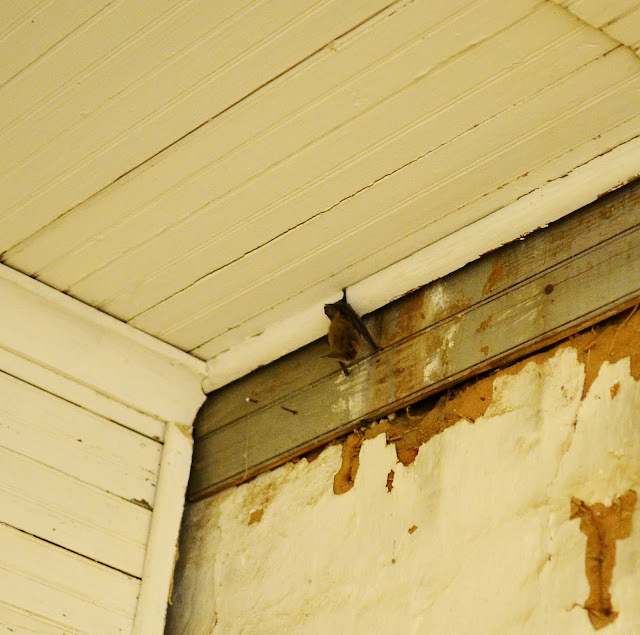 I can now say, I will brave wind, weather, holes in the floor, and even bats to get photos of my clients. I really do love my job....bats or not bats, it is never boring! 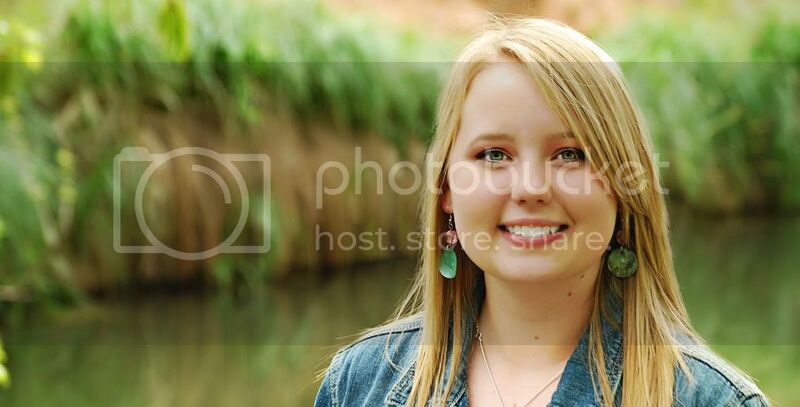 Last night I had the blessing of taking Sarah's Senior Pictures. 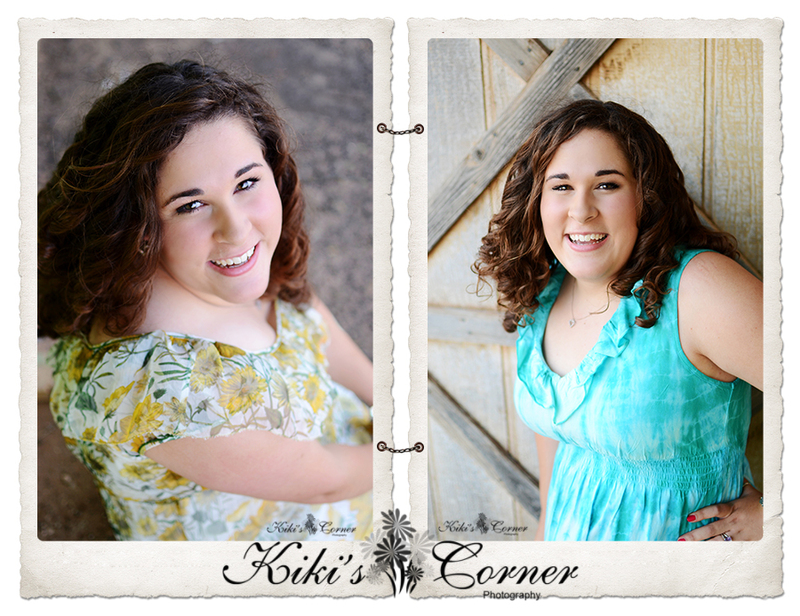 Sarah is a Class of 2012 Senior and a Kiki's Corner Rep this year...and I am so glad to have her. She is beautiful inside and out. She and my Rachel are friends. 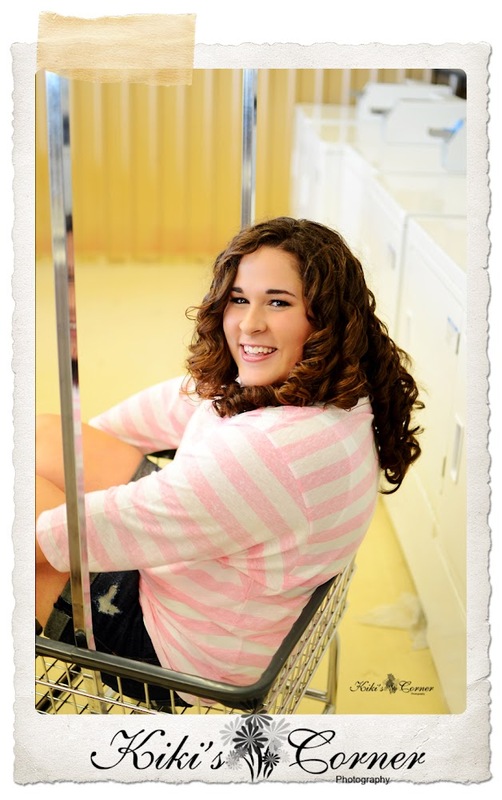 I asked her how it felt to be a senior and she sweetly replied, "It should still be Rachel." Love that! 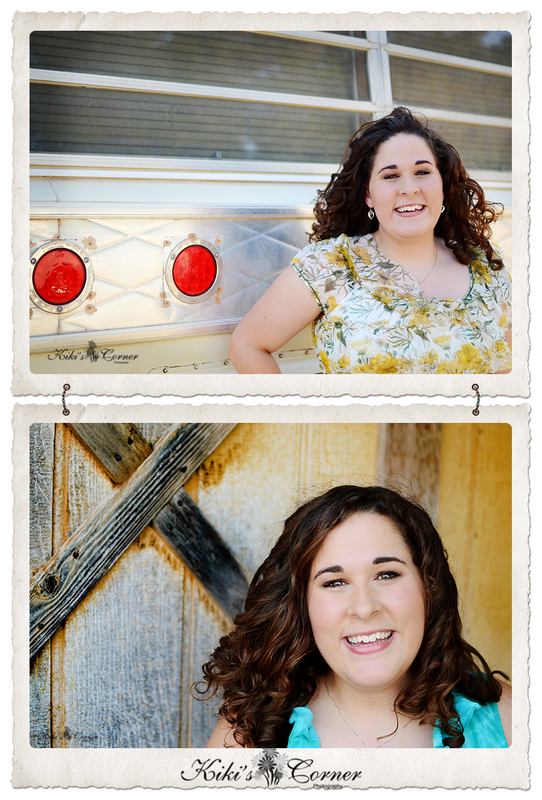 Sweet Sarah, it is your time, your year...have an absolute blast making lots of amazing senior memories! 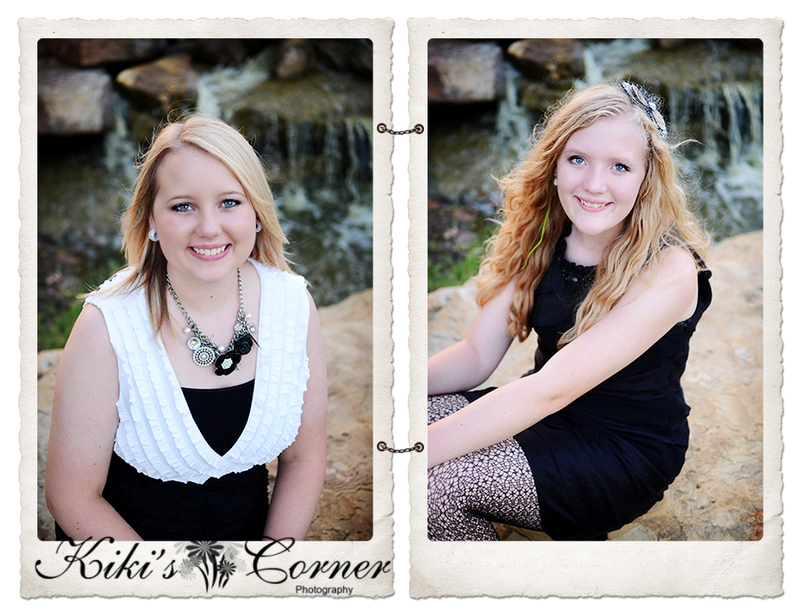 Sarah and I have been planning her session for weeks. When I mentioned that it might be fun to start at the local laundry mat, she didn't hesitate. I thought it would be a unique and fun place to take some pics...it had air conditioning (the temperature outside was a hot 105 degrees) and we were the only ones there~woo hoo! She even agreed to sit in the laundry cart. Do I have the best clients, or what?! 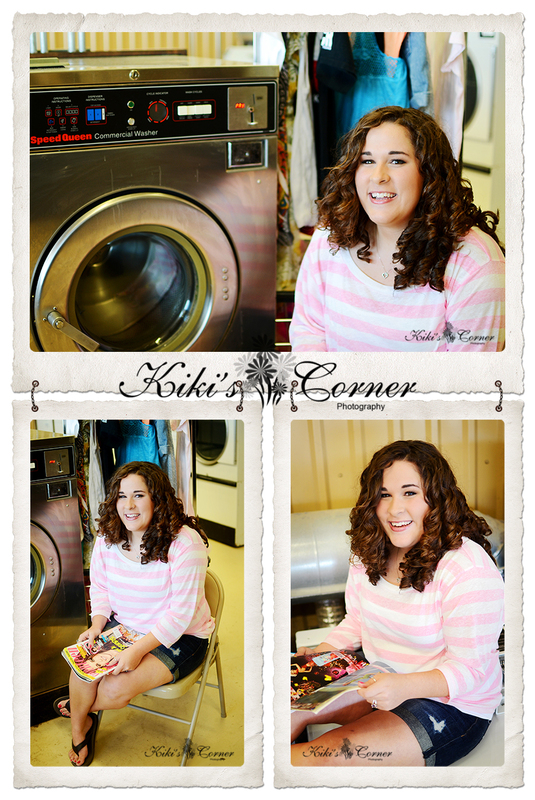 I wish doing the laundry at my house was this much fun! Ha! After a quick change, we headed to several other locations around town. We even dared to go back to the Convent. 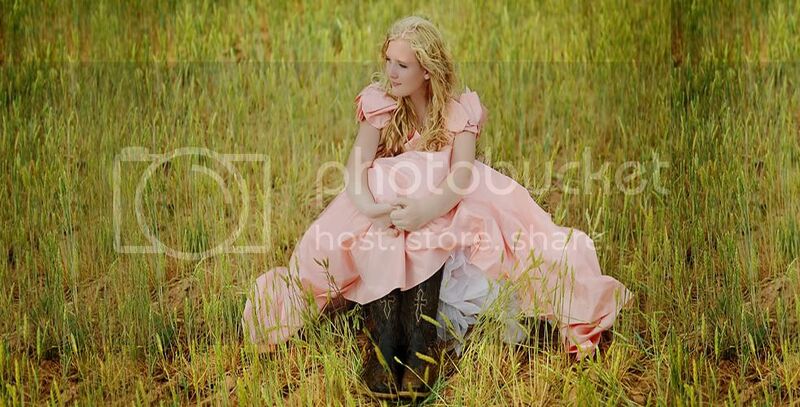 Remember the bridal photo shoot where I nearly fell to my death? I braved shooting here again, but carefully watched my step. There was another surprise waiting for us here, but I'll tell you about that tomorrow. Do you northerners know what a pump jack is? It's black gold in our part of Texas, oil wells. I hadn't been this close to one ever and it was so much fun! If it hadn't been for the wind, we would have stayed longer. It was so fun! 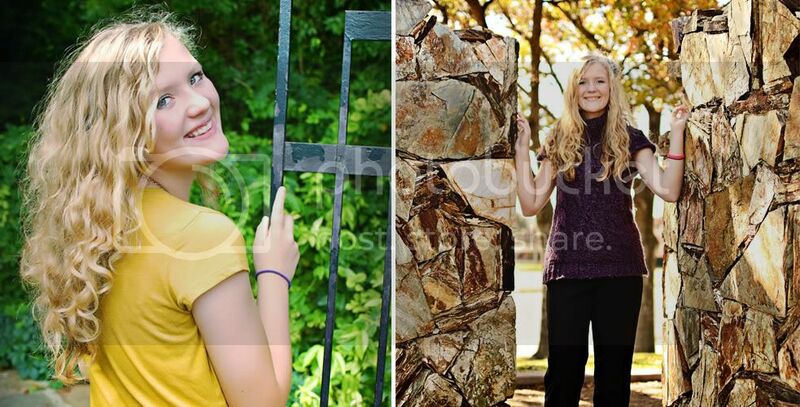 Sarah, I hope you enjoyed your sneak peek. More pictures to follow in your gallery soon. 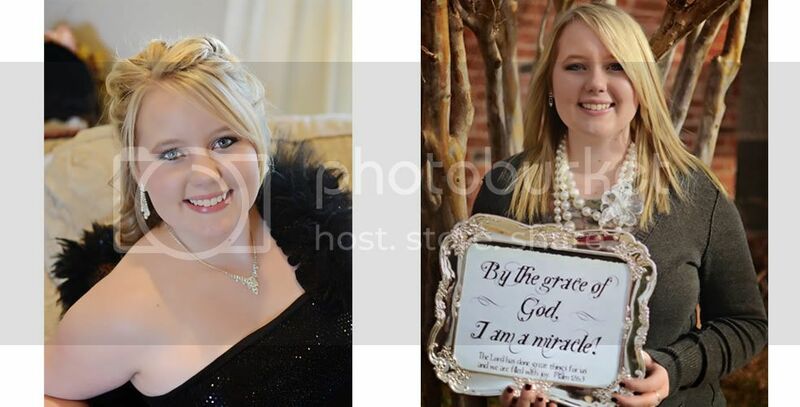 Thanks for the blessing of taking your senior pictures! I like how it gives more drama to the photo and adds a bit more nostalgia to the image. 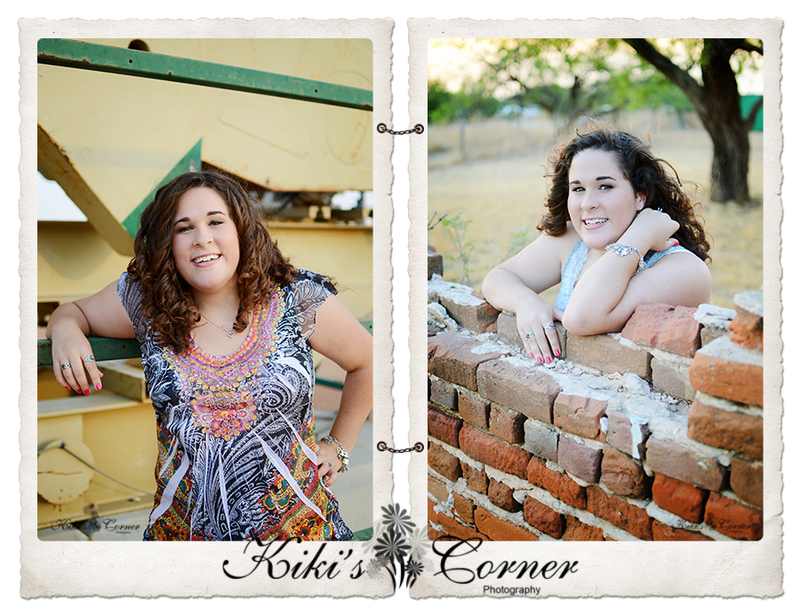 Here is my orignal post with other images from our fun photo shoot. What do you think? Yesterday, God gave me an unexpected and most precious gift! It was my Sunday to sing and I had wrestled with what to sing for weeks. I didn't have a clear answer so I kept praying. I finally had decided that I was going to sing, "God Speaking" by Mandisa. I love this song but it still didn't feel right in my spirit. Saturday morning, I purchased and downloaded the track for Christy Nockles, "Waiting Here for You." The track was released recently and this song can be heard almost daily around our house. I asked Hannah if she thought she might like to sing it with me in church one day. She tried it, I nearly cried, and we sang it yesterday morning together. Hannah told me that she was nervous, but you couldn't tell. She was absolute grace under pressure, I should say covered in grace under pressure. She sang beautifully...way beyond her years. She chose to sing the first verse of the song and I marvelled at this beautifully young lady standing beside me. Joy filled my heart to overflowing as she sang to her Saviour, not only with her mouth, but with her heart too...that is my favorite kind of singing any day. Summer is here...and so is Summer Basketball! Yesterday, my baby girl and her teammates played 5 games. Five games! Wow! Our thirteen and fourteen year old girls played a lot of varsity teams (17 and 18 year olds). And our normally undefeated team won one, almost two there was a last second 3 pointer at the buzzer, game out of five but they fought hard. 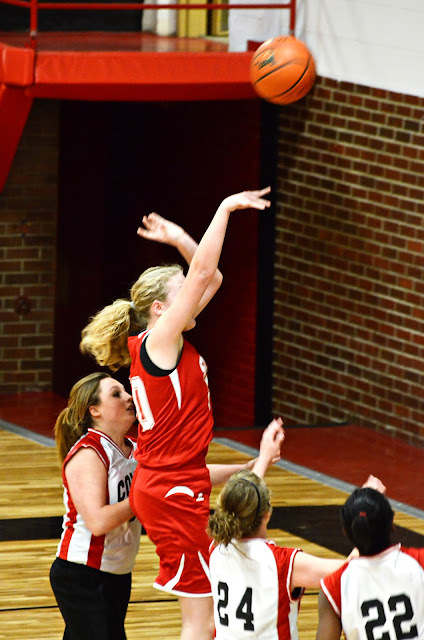 It was fun to watch Hannah on the court again. She adores basketball and I adore watching her play; naturally, I was there all day long...and I'm going back again today. She will play 4 games today. I crawled into bed last night exhausted, as if I had played 5 games that day too. Ha! Ya'll have a blessed day!